If robot vacuums get much smarter, they'll soon be telling us how best to clean the house rather than vice versa. 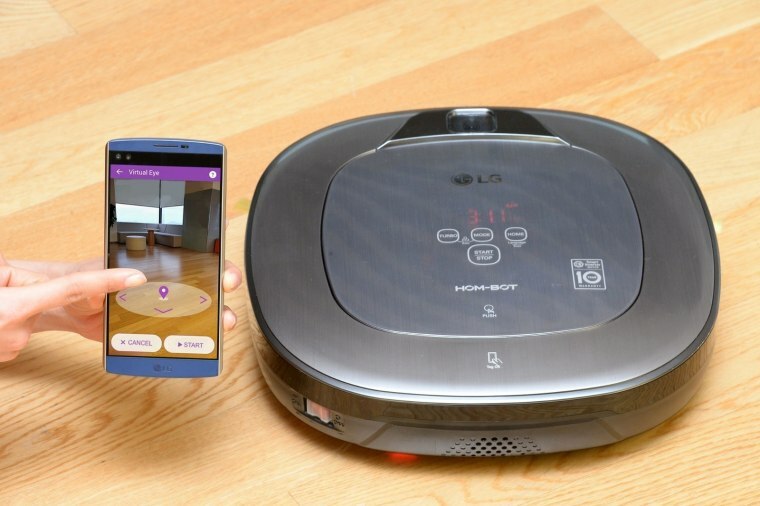 LG's latest HOM-BOT model adds a handy augmented-reality control mode to its existing high-tech features. Instead of selecting an area on an overhead map or driving the robot remotely to an area of the house that needs a touch-up, you can just open up the camera in the associated LG smartphone app and tap the spot in an ordinary view of the room. The vacuum will determine where you and your phone are and where you've instructed it to go, and be on its way. It's a handy upgrade to a device that's already almost creepily advanced. The HOM-BOT can be told to patrol the house while you're away, not just picking up dust and dander, but sending an alert if it detects motion. And if you prefer a manual touch to your vacuuming, you can always take over and pilot the robot around like a remote control car. There's no price or availability yet for the U.S., but LG's smart home gear should be on show at the Consumer Electronics Show in Vegas in January, so we can expect to hear more then.